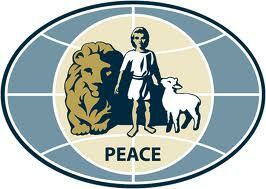 Community of Christ Church – Prescott – We proclaim Jesus Christ and promote communities of joy, hope, love, and peace. Welcome to the Prescott Community of Christ home page. The Prescott Community of Christ church is a Christian congregation serving the Prescott community and seeking, engaging, and encouraging others through a life-changing Christian journey. We seeks to be a loving, friendly community that worships God, and serves others. We place a high priority on teaching from the Bible and following the example of Jesus. Our vision is to impact and renew Prescott, Arizona and beyond with the transforming message of Jesus Christ through words and actions. Everyone is welcome. Come as you are - we'd love to get to know you. We are a small church located at 2970 Willow Creek Road, Prescott AZ 86301-4179 (Church Row) and you can reach our Pastor, Mary Ellen at: (928)778-2267. We would love to have you come join us on Sunday for fellowship and service. Our services starts at 10 A.M. on Sundays. Everyone is welcome, come as you are. If you would like to learn more about us and our beliefs please visit the above "about us" link or come talk to us in person.